Go Ape - Itchen Valley, Southampton - Kat Got Your Tongue? 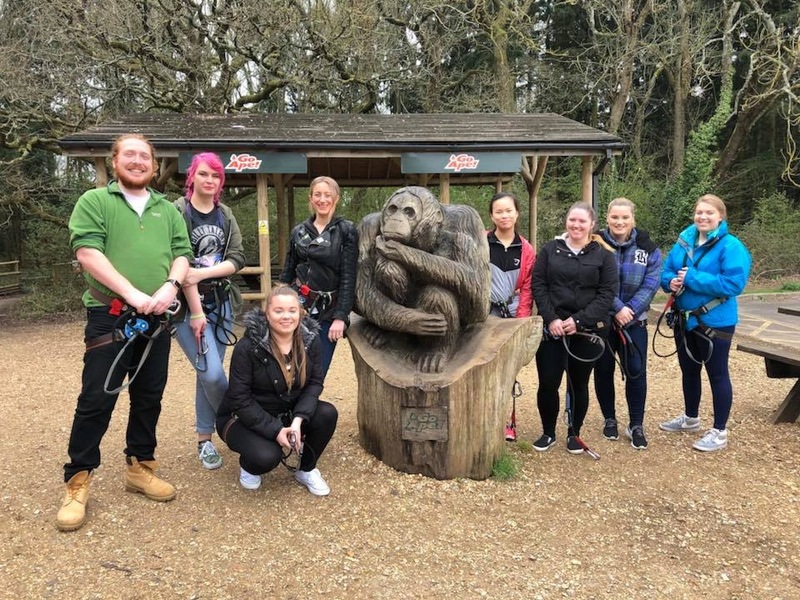 A couple of weeks ago, I was kindly invited along to Go Ape Southampton to try out their high ropes courses, with a group of fellow bloggers from Portsmouth. 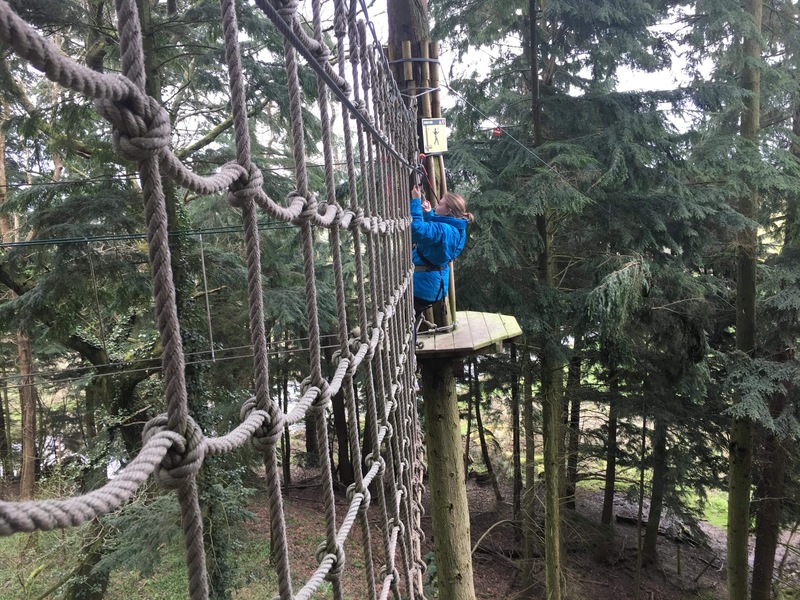 Unfortunately it was a bit of a cold, drizzly day – but that didn’t dampen our spirits, and we had a huge amount of fun climbing around in the trees. 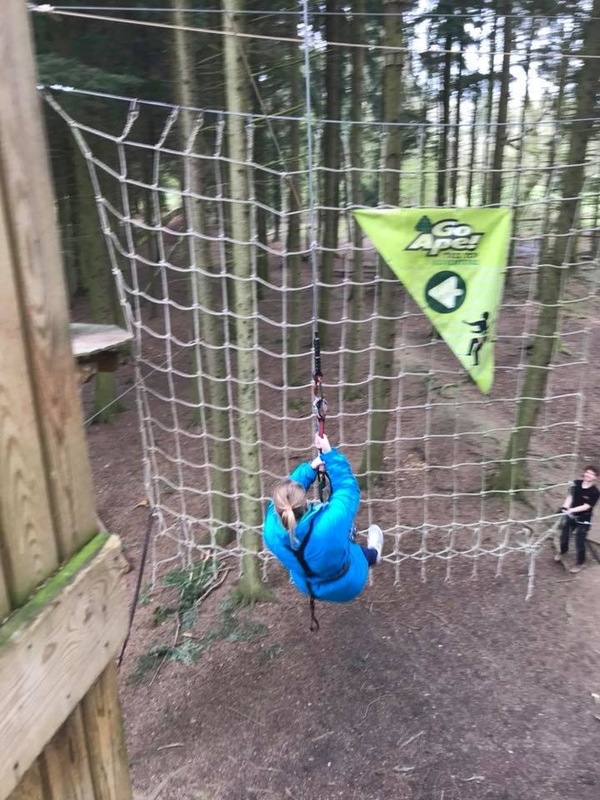 We started off with the basics, learning how we should clip on and off of each activity safely – it was a little nerve wracking to be told our lives would be in our own hands up in the trees! After the first course – about 1 metre off the ground, and supervised by our helpful teacher – we were sent off on the second course, which was a little higher and involved lots of bridges and obstacles. 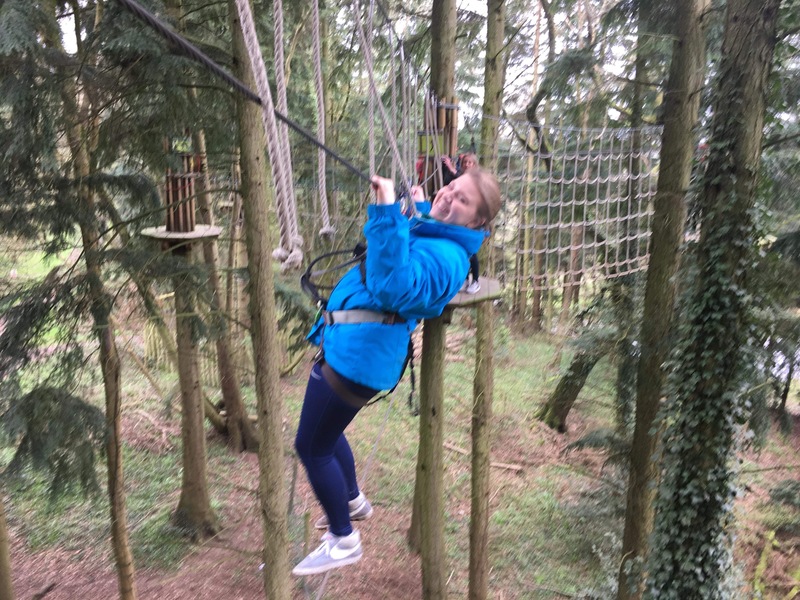 The scariest was definitely the Tarzan Swing – it took a bit of courage to step off the platform and swing (head first) into the waiting net! I promise you – it was much higher than it looks! 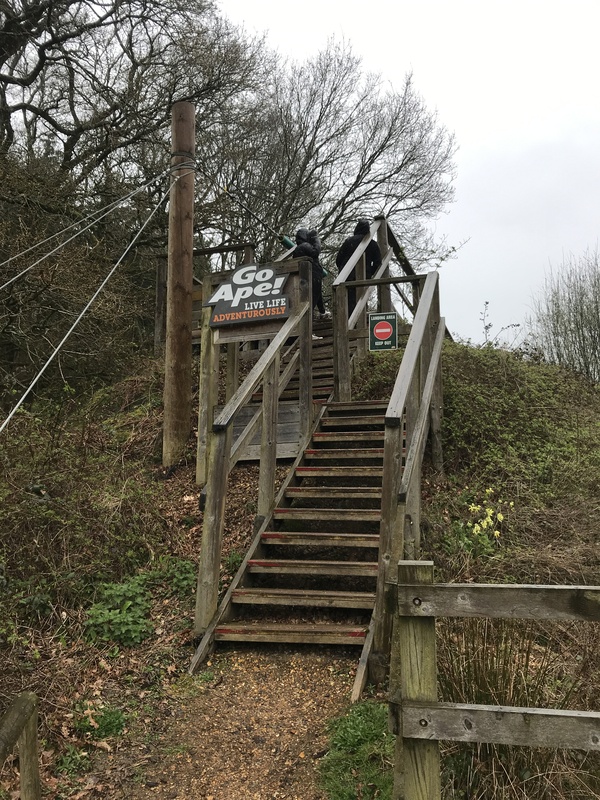 There are a total of 5 courses at Go Ape Southampton, and when you pay for your session, you work your way through the courses at your own pace. It took us around 3 hours to do all 5 – and at the end of each course is a zip wire, which was definitely the highlight! 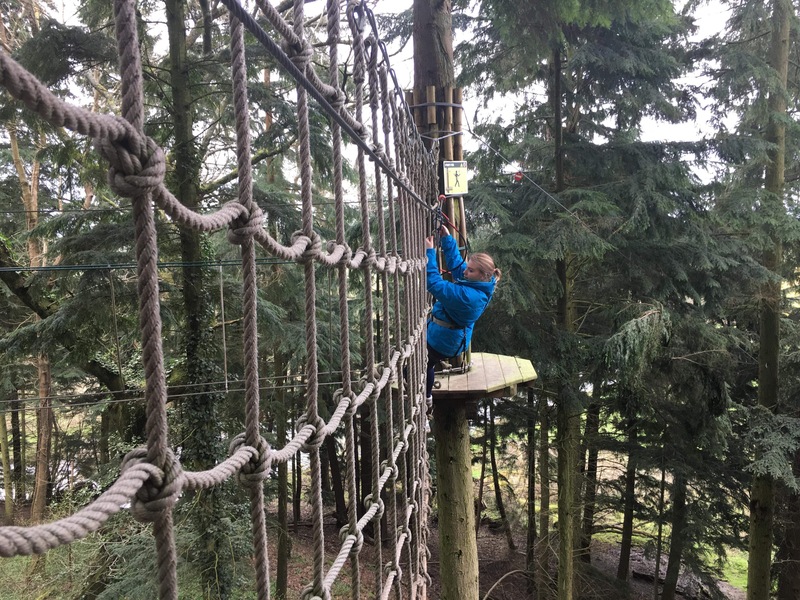 There were nets, swings, bridges, ladders and other obstacles for you to master, whilst also trying your hardest not to look down at the forest floor below! I found the nets quite challenging to cross – it requires quite a lot of upper body strength, which apparently I need to work on! I had such a fun day at Go Ape Southampton, with a fantastic group of people who I can’t wait to see again! 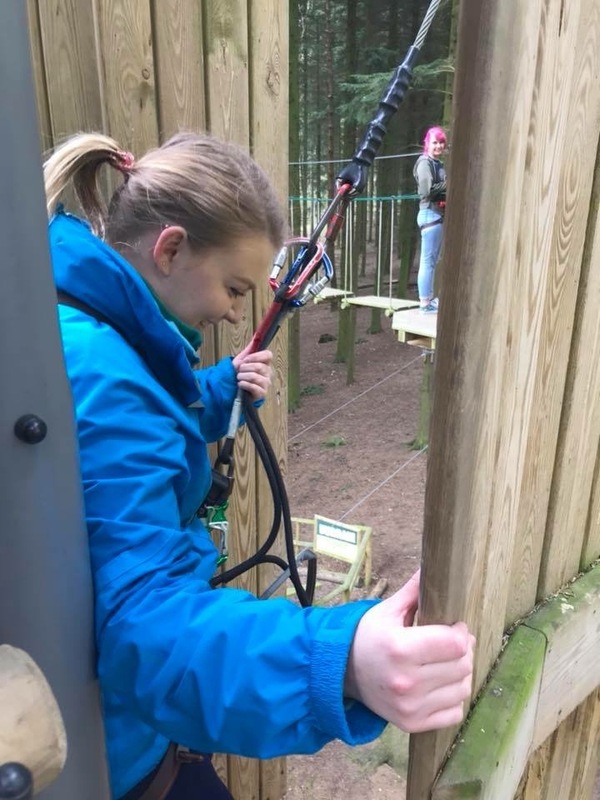 I’d highly recommend giving Go Ape a go (unless you’re terrified of heights) – it’s a great activity for a group of people, and is guaranteed to give you a few laughs while you’re up there! 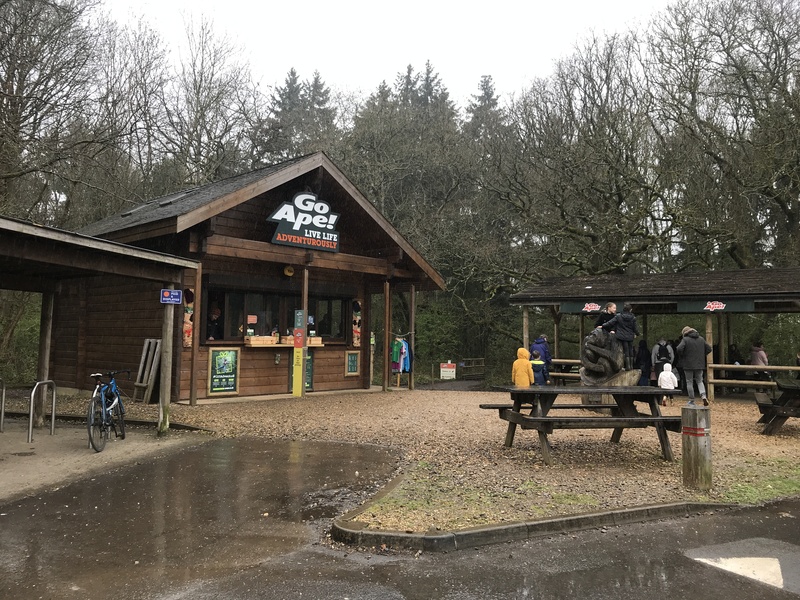 I filmed the day on my Go Pro Hero Session (strapped to my chest very securely) and you can watch the video below (or click here) for a real-time view of what the Go Ape experience is like! You’ll see that I had a lot of fun on the zip wires, the longest of which is 185 metres long! 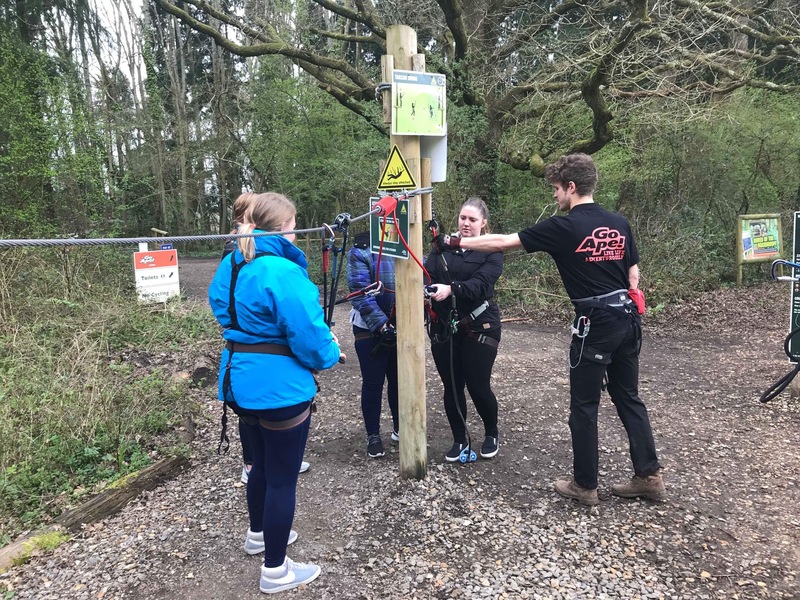 You can find a Go Ape course near you by clicking here – at the Itchen Valley site that I visited, it costs £33 per person to do the 5 courses that we did, and it’s so worth it! Amazing, looks like a lot of fun. I need to watch your video of this! You can hear me squealing! !